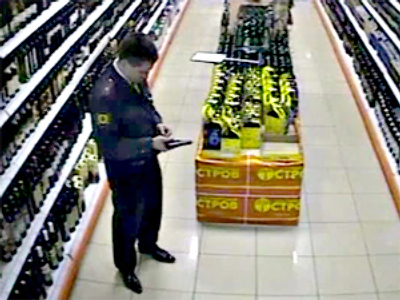 Russia’s General Prosecutor’s office has confirmed the charges against a policeman who went on a shooting rampage in a Moscow supermarket back in April 2009. The accused, Major Denis Yevsyukov, has finished familiarizing himself with the criminal case materials and made a motion for a preliminary hearing, the official representative of the Prosecutor General's Office Marina Gridneva told RIA-Novosti news agency. All the materials of the case were sent to the Moscow City Court. Yevsyukov is accused on four articles of the Russian Penal Code, including murdering two or more persons, attempted murder, endangering the life of a law enforcement officer, and arms trafficking. Yevsyukov, who was allegedly drunk at the time, after shooting dead his taxi driver, stormed into the Moscow store brandishing a pistol and shot dead a guard and a saleswoman. Seven other people were wounded in the incident. The violence caught on CCTV has caused outrage across the country, with human rights activists demanding stricter gun control and police reform.